inter’s over, spring has finally sprung and here at Quarriers we’re doing our bit to make the sun shine for Scotland’s children. 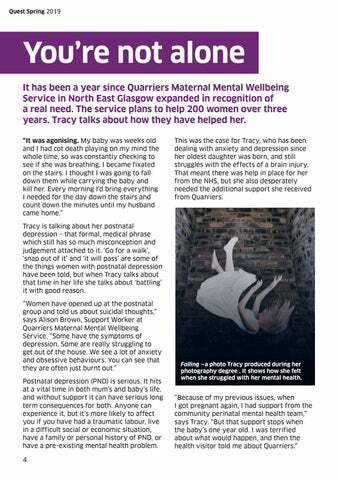 2018 saw an expansion in Quarriers Children, Families and Young People services, with a particular focus on pioneering mental health support for children: we grew our award-nominated Let’s Talk Service and opened the Borders Resilience for Wellbeing Service, where we are working with the first local authority in Scotland to adopt an authority-wide approach in promoting emotional wellbeing in secondary schools. 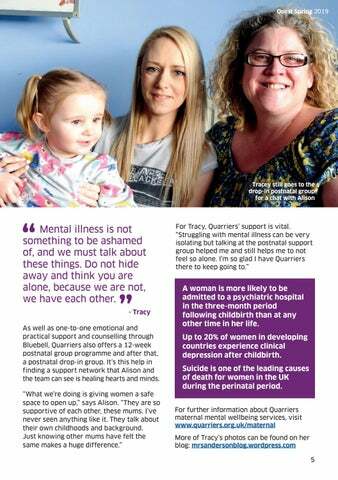 This was the case for Tracy, who has been dealing with anxiety and depression since her oldest daughter was born, and still struggles with the effects of a brain injury. 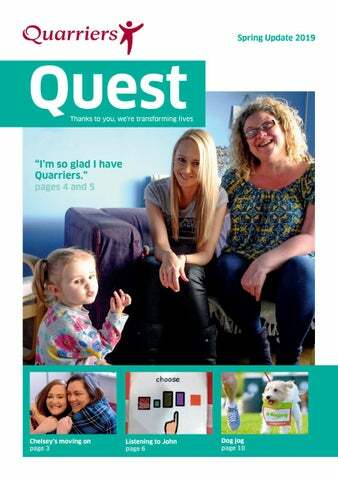 That meant there was help in place for her from the NHS, but she also desperately needed the additional support she received from Quarriers. Falling —a photo Tracy produced during her photography degree . It shows how she felt when she struggled with her mental health. More than words What if you only had four words you could say to communicate with people? ou know that feeling when a word is on	the tip of your tongue but you can’t quite get it? The frustration builds and you might say “Aargh! My words are gone!” What if you couldn’t say “No, I don’t want to eat that. No, I don’t like hugs. Yes, I want to listen to music.” How frustrated would you be? Who would you be? Many of the children and adults we support at Quarriers have that experience every day. Autism, learning disability, brain injury and complex trauma can all make communication difficult or impossible. So we do absolutely everything we can to listen, in different ways. Quarriers staff are already sensitive and caring people but they are also supported by a dedicated Learning and Talent Development team who offer a range of training programmes, including specialist Autism and Total Communication courses. John is one person whose team works hard so he can communicate his needs and wishes. He has lived in a Quarriers residential service for children and young people with complex needs since he was 12, and Donna has supported him in the 10 years since then. John’s autism means that while he can use words to sing, or repeat others’ speech, he doesn’t have access to sophisticated language. Quest QuestAutumn Spring 2019 2018 Donna connects with John in whichever way he needs, and sometimes that might be having a hug. With ten years of experience, Donna’s an old hand, but has just attended a Quarriers autism training course to refresh her professional practice. She’s just one of hundreds of Quarriers staff who attend Quarriers training every year, committed to developing communication methods, and on making connections with the people we support: understanding them, empowering them to have choices and control over their world, and helping them feel that they’re really understood as the complicated, unique and wonderful human beings they are. And there’s no doubt that John would use his PECS cards to give that a thumbs up. This I know Quarriers Carer Support in Aberdeenshire helps unpaid carers in a variety of ways. Last year they held a poetry competition and Carol Smith was the deserving winner. Along with some excerpts from the poem, she talks about the support that Quarriers has provided. I’m in the best place I’ve been in terms of my caring role and I know now that Quarriers will always be there for me. To read the whole of Carol’s poem, visit www.quarriers.org.uk/acceptance. You can! Do something wonderful for you and take on a challenge in aid of Quarriers this year. nge e l l a h C elf. yours Set go al. Smash . Repea t.
16 Glasgow Men’s 10k: Does what it says on the tin, guys! July 27 or 28 Glasgow or Edinburgh Dog Jog: Can you and your four-legged friend take on 5k? 8, 9 and 10 Supernova Run: a 5k night run at the Kelpies in Falkirk To find out more, pick up fundraising tips and download sponsor forms, visit www.quarriers.org.uk/events To speak to our events team, call Jordan Hogg on 01505 616132.
l Don’t stop unti you’re proud. Come join us If you’re in the west of Scotland, we have two sporting events you can be part of. Golf like a Champion Cawder Golf Club’s Championship course was designed by the five-time British Open Champion, and famous golf course architect James Braid. Come and have a go at Amen Corner (holes 13 through to 16) at Quarriers Annual Golf Day – a 4-ball with shotgun start and some fantastic prizes on offer. Walk a marathon and raise 140% of your sponsorship. Take part in The Kiltwalk and thanks to the support of The Hunter Foundation, all your fundraising will be topped up by 40%. 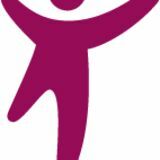 We’re going big for the Glasgow walk, with over 20 Quarriers staff and people we support already in training! Come and join us on The Mighty Stride - 23 miles. Or do The Wee Wander – 6 miles, or The Big Stroll – 15 miles. No matter where you join the route, we’ll all finish together, and we’ll all know we’ve done something special! Want to find out more? To register your interest, please complete the form below and send it in the prepaid envelope enclosed with your Quest mailing. www.quarriers.org.uk/ladieslunch Quarriers is a registered Scottish Charity No. SC001960.